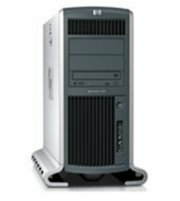 Building Block Computers supplies you with a choice of these HP 9000 series PA-RISC workstations. The HP PA-RISC workstations offer proven, stable and reliable UNIX systems for increased performance, outstanding scalability and investment protection. From fully configured systems, upgrades, peripherals and spare parts, we provide you with dependable quality parts all backed with a full 90 day warranty.